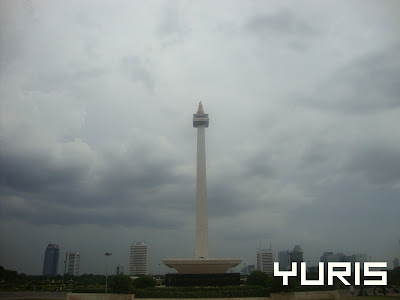 The National Monument (Indonesian: Monumen Nasional (Monas)) is a 132 meter tower in Jakarta, Indonesia, symbolizing the fight for Indonesia's independence. 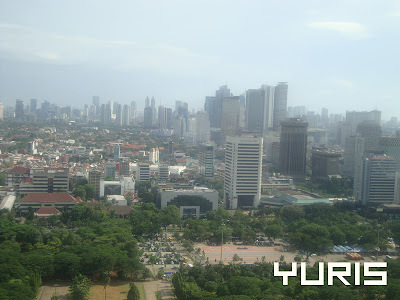 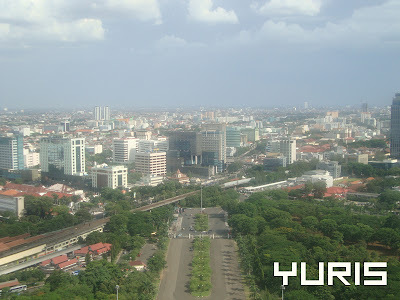 City of Jakarta, view from the top of the MoNas tower. 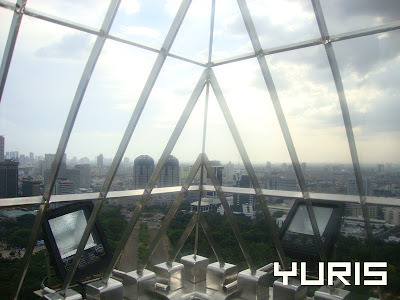 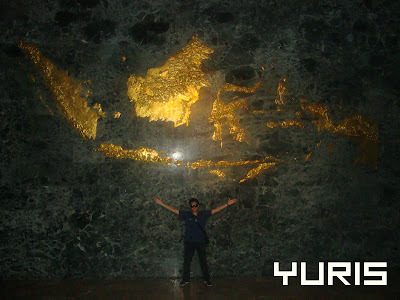 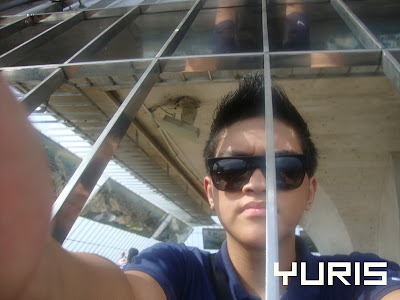 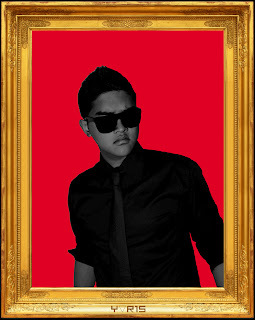 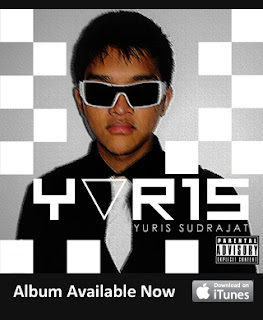 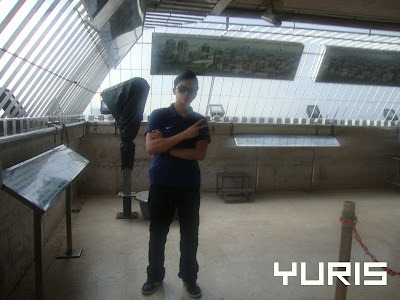 Me (YURIS) at the top of the MoNas tower. 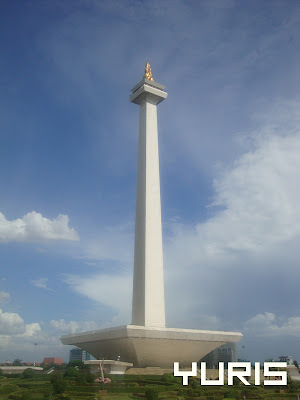 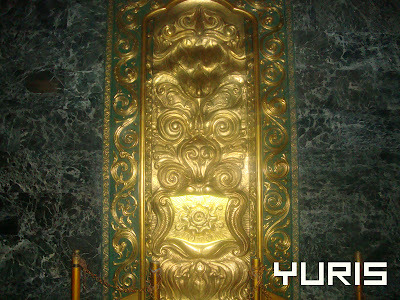 'Hall of Independence' inside the MoNas tower. 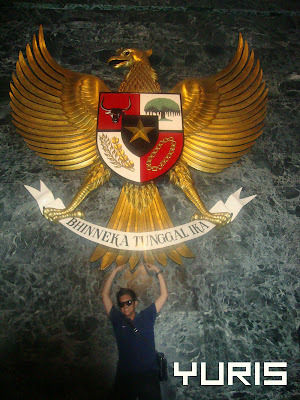 GOLDEN GARUDA! 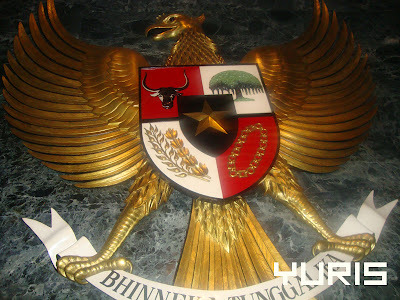 The Garuda Pancasila is the coat of arms of Indonesia.